Career Tips 21/01/2019 by "Lisa Morell"
You know you can do the job – in fact, as far as you’re concerned, you’re perfect for the role. So how do you convince an employer you’re their ideal candidate? Interviews can be a nerve-wracking experience, even for the most seasoned professionals. It’s not something we do very often, so it can feel a bit outside of our comfort zone. Generally, when we desire something strongly enough, it can create some anxiety. Understanding how to interview well can go a long way in ensuring you remain strides ahead of your competition. During an interview, the little things can make a big difference and one small slip-up could possibly cost you your dream job. 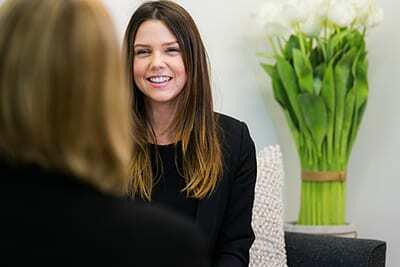 Our interview tips cover all the basics you need to know in order to ace any job interview. From reading up on the company to sending a thank you note, make your meeting a success from beginning to end. It goes without saying that prior to attending any job interviews, it’s imperative that you do some research to find out everything you can about your potential place of employment and help gain an understanding of where you can add value. The company’s website, blog and social media channels all provide you with information that will help you feel confident and prepared for your job interview. Find out who it is you’ll be meeting with. Whether it’s a HR representative, the manager, boss, or the CEO, If your interviewer has a LinkedIn profile, it’s always a good idea to familiarise yourself with their background and what role they play within the company. Know as much as you can about the job you are applying for. Review the job posting and understand exactly what it is the employer is looking for in an employee. As well as the role, make sure you review your own cover letter and resume. Be clear about what you can offer the company and why you are the best candidate. For a corporate office environment, a suit is a guaranteed winner. For women – lose the chipped nail polish and minimise your jewellery. If it’s a tech start up, a role in supply chain or a trade-based industry, business casual is a good bet. For men, this would be business pants and a collared shirt; for women, skirt or pants and a shirt. Polished shoes are essential for everybody. Be on time, or even a few minutes early. Most employers have a busy schedule and if you arrive too early, they may feel you expect to see them on your schedule, rather than the agreed time. Arriving late to an interview may indicate that you don’t pay attention to details or value others time. The interview begins the moment you walk into reception. Be polite to everyone you see, and ensure you know the name(s) of those you are meeting with. When greeting, ensure you shake your interviewers hand with a firm grip, smile, and make good eye contact. From the moment you greet the receptionist until you leave the building, you are being assessed as a potential employee, so it’s best you leave everyone with a good first impression. Be aware of what you are communicating through your posture and stance. Make sure your posture is open and inviting throughout the interview (for example, sitting with your arms crossed conveys that you are closed-off or feel defensive.) Think your movements through ahead of time so you are not distracted during your interview. Body language is something interviewers will look out for, so be aware and practice how you present in an interviewer. When you’re in a job interview, it’s up to you to sell your qualifications and credentials to the interviewer. You need to be able to show the interviewer that you’re a good fit for the position, the team and the company. With some preparation, you’ll be able to present yourself as a candidate anyone would love to hire. Often in job interviews, you will get a question about what you can contribute to the company. While this may be a question of its own, be sure that when answering any question that you are considering how you can add value to the company and incorporate this into your answer. This gives you a chance to explain to your interviewer why you are the best candidate for the job. If you need a moment to gather your thoughts and come up with an answer to any questions posed, take a pause. Rather than ramble, or even worse, choke (! ), ask for a moment to think about the question. During your interview, it is likely that you will be asked why you are interested in the position and company. Consider why you’re interested in the role and identify some key factors that make it a great fit for you, whether that be the company culture, educational or growth opportunities. It’s important that you’re able to answer situational or behavioural based questions in addition to more general questions. These questions often start with “tell me about a time you did….” You are expected to give a specific answer. Something along the lines of “recently, a customer had ABC issue and I resolved it in XYZ way” is an assertive way to demonstrate how you’ve been effective in both problem-solving and achieving outcomes. Ensure you take credit for what you’ve achieved in previous roles. Keep in mind to be clear on what your actual contribution in your team’s situation and how your actions influenced the overall outcome of any projects that you were a part of. The key to acing a job interview is preparation. Think clearly on how and where you’ve added value in a similar role and be ready to articulate it. Remember, an interview is an exchange of ideas, not a monologue, so ensure your answers are descriptive, relevant and concise. Even if you’ve done all the right preparation you can, you may still be caught off guard by an interview question you weren’t expecting. While preparation is key, remaining calm in these situations and taking time to gather your thoughts is important. In staying composed not only are you allowing yourself to put together an appropriate answer, you are also showing your interviewer how you deal under pressure. Job interviews are an important step in both parties getting to know each other and determining whether there’s a fit. It can be tempting to ask about salary / benefits / holidays etc. at the initial interview, but this isn’t recommended. If you have an understanding of the role’s value in the market, you’re likely to come to an agreement when you start to negotiate. If you enquire too much about what the company can do for you, rather than focus on what you can do for the company, you may be perceived as someone who is only interested in themselves. Conduct practice interviews with a friend or family member and ask for their feedback. As well as practicing answering interview questions you can also check your body language is communicating a positive message. The more you practice, the more natural your answers will feel and the more confident you will be walking into the interview. As the interview comes to a close, you may be asked if you have any questions. Asking questions shows you are genuinely interested in the role. If you are at a loss about what to ask, it’s a good idea to reiterate your interest in the position and ask what the next steps in the recruitment process might be. Throughout the interview process, there may be a series of meetings with individuals and small groups. Each person will be accessing both your motivation to work in their company as well as your qualifications. Try to ensure you make a positive and energetic impression each time and you show that you are excited for this opportunity. Taking the time to say thank you after a job interview not only is good interview etiquette. It also reinforces your interest in the role and shows the interviewer that you have excellent follow-up skills. You can also use your thank you email to address any issues and concerns that may have come up during or after the interview. Remember, the company is interviewing you because they already feel at some level that you could be right for the role. Take a few deep breaths before you go into the premises and you’ll be just fine. If you follow these steps and understand how to play the game, you’ll be playing to win!